Lentil Soup is what came to my mind immediately on waking this morning when I heard the weather report for some very cold parts of our earth. Hi one and all...... where I am at the moment, the weather is sunny and very warm, but for my dear friends and family in other parts, the weather is bitterly cold. So a delicious heart warming lentil soup it is. It will certainly take those chills out of your body and after tasting will put a warm smile back on your face. 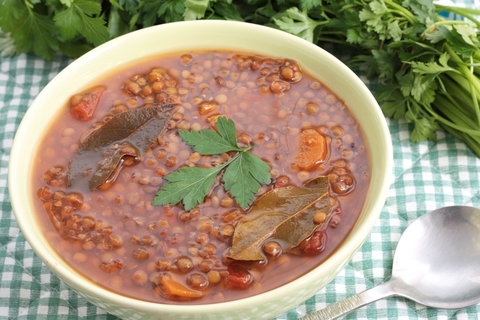 Okay the first thing we need to do to start this delicious lentil soup is to prepare all the ingredients beforehand. 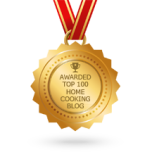 I have found it so much easier to have all the bits and pieces gathered together on the kitchen counter before I start doing what I enjoy most, and that is cooking up a storm. 1 can diced tomatoes or 2 large grated tomatoes. 4 cups broth of your choice i.e. Chicken, Veggie or Beef, they all go well with this recipe. Half teaspoon dried thyme (which by the way, is very good to help control high blood pressure). 4 table spoons Worcestershire sauce. If you are feeling a bit "flush" you can add 3 slices of chopped ham. At this stage I would like to tell you that I call this my one pot soup and you will soon see why. Most recipes instructions say you must first fry your onions, bacon, garlic bla bla bla ...... well my way of making this is much simpler and tastes just as good, (if not better) he he he! Put your rinsed lentils into the pot (taking care not to splash yourself). Add all your other ingredients (except the ham) to the pot stir and turn down the heat to med. 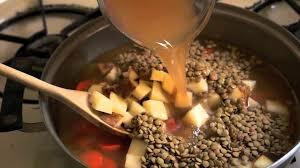 Once it is simmering reduce heat to low and simmer until the lentils are tender( plus minus 40-45 minutes.). Use an immersion blender to purée the soup until the nice and smooth, otherwise just use an egg beater, and beat until smooth, guaranteed to give you well toned arms. 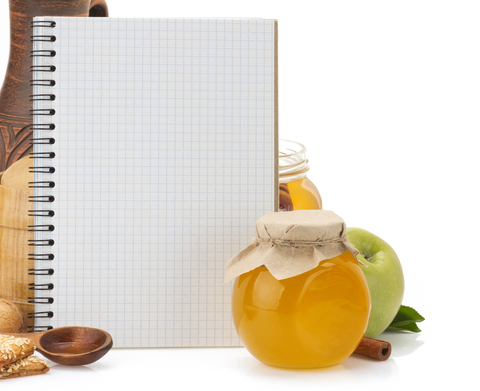 You may now add the ham to your pureed soup. The soup will thicken as it cools down, you can add hot water to thin it out, if you want to. Any soup left over you can freeze it and have it on another chilly day/night. Well done you have only used one pot , which means only one pot to wash...yippee. When I serve myself this delicious soup, I use my favorite large soup cup and fresh bread. fresh bread ( a fresh Portuguese roll or a French loaf also goes well with this). Break off pieces and dunk it in the soup. I always enjoy a bit of spice, so what I do, is to add few drops of Tabasco sauce, or a sprinkle of cayenne pepper. A dollop of sour cream or plain yoghurt. P.S. 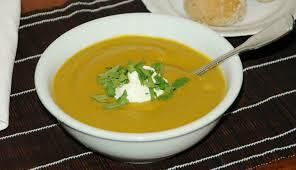 look out for some more great soup recipes that I am working on now and will be coming your way soon. 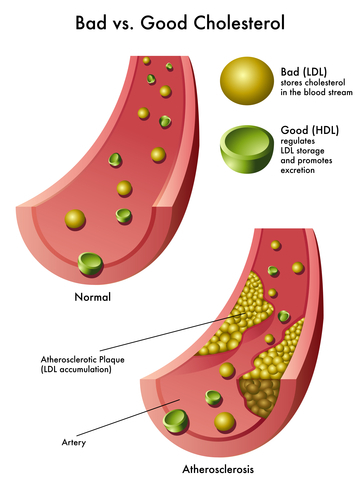 It helps lower cholesterol and is therefore good for your heart health. It is also good source of iron, which we all need.